trip is great. because I can meet good people. I have lunch and sightseeing with him. my today dinner is KEIKOSANG's SKIYAKI!! 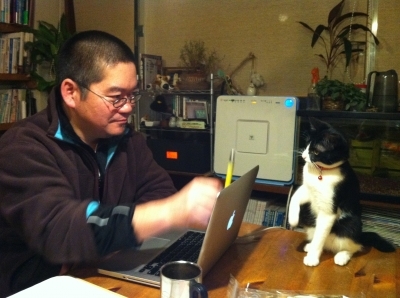 I meet her first~ she is friendly and GAWAE!! I took a picture of her and (OISIE)SKIYAKI..
(DEMO) my digital camera is problem..ㅠ.ㅜ..
(DAKARA) I can't upload the photograph..
KEIKO sang and MASA sang!! 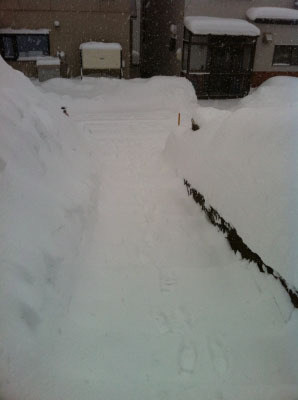 We have lots of snow today. I did not expect so much snow here. 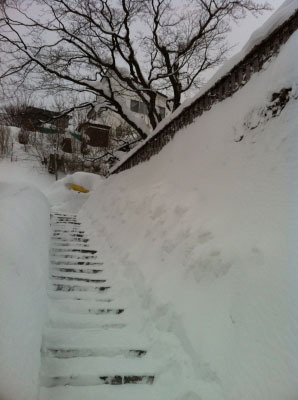 (DAKARA) I start the day by shoveling snow!! It’s hard work shovelling snow. Unfortunately,, it is snowing fast..
the snow stoped and night sky is clear. so. 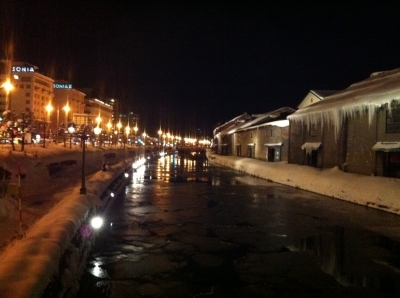 OTARU canal becomes even more beautiful. 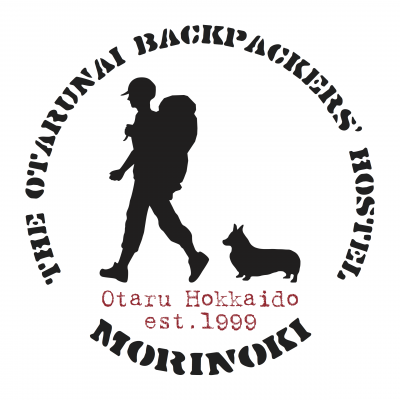 otaru's shops close at 6~7(P.m).. 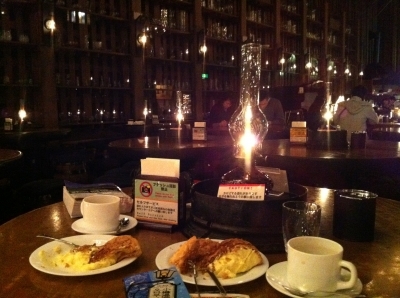 In otaru's night,, not much we can do about it. I came across a good spot on my way home today. 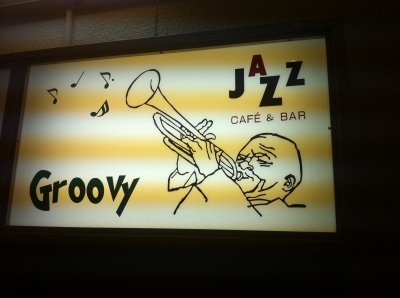 <Groovy> is jazz cafe and bar. good music. 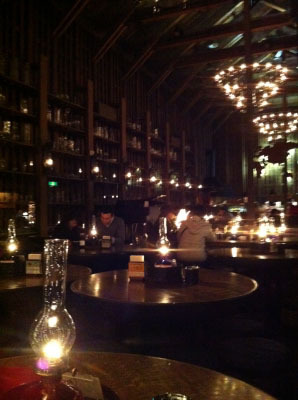 cozy place. 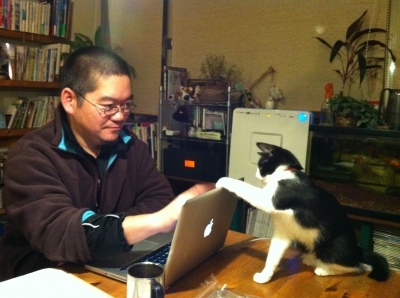 a warm and friendly master!! Well, I'll cut this short for now. 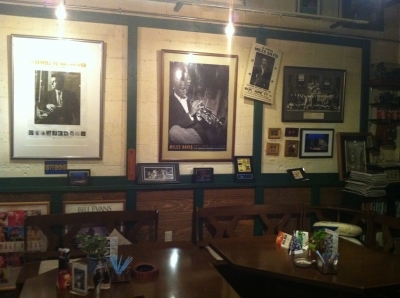 I arrived in MORINOKI at last night. 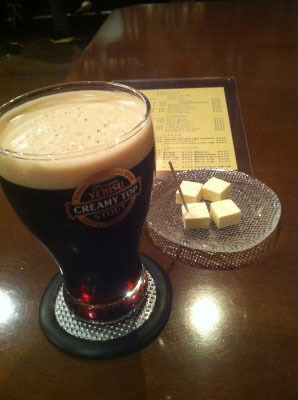 Today is OTARU BEER'S DAY. 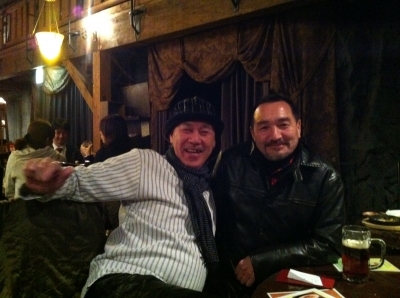 (DAKARA) I met a lot of Otaru people, thanks to Masa sang. I think. 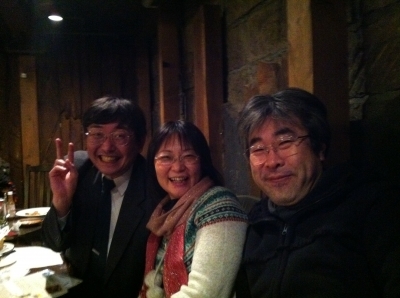 OTARU people are very kind and funny and young!! 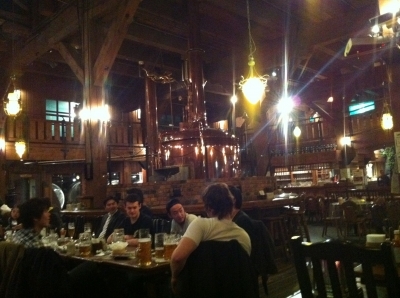 And OTARU beer's is very good !! I am so full ^^;;; (DAKARA) I feel very sleepy..
Saying good bye for now..